Heavy Trax Hire Central Motor Speedway … Central Otago’s Fastest and Most Popular Family Show on Earth. Lolly scramble. All part of the family fun of going to Heavy Trax Hire Central Motor Speedway. Daryl Ainsley 27 March 1966 - 12 May 2018 He is and will continue to be sadly missed. The pits are filling fast as we countdown to night one of our Easter double header. A guest appearance tonight for the Modified Sprints who always put on a show. We go green at 4pm See ya all trackside. Streetstocks make a guest appearance at Heavy Trax Hire Central Motor Speedway Sunday night. Throw in a Demo Derby and it's a smorkesboard of metal mania. Be early to secure the best seats in the house. Metro Graphics and Design are giving away a FREE Family pass to the DEMO DERBY this Sunday. Go to their facebook page Metro Graphics and Design, like their page and you could be the lucky winner. Pit Gate Entry for drivers and crew must be in tow vehicle $15 per adult, $5 child 5 - 15. $5 Youth Ministock drivers. Heavy Trax Hire Central Motor Speedway is the Central Otago-Southern Lakes centre of high speed, adrenalin-pumping dirt track action. Big horsepower sprintcars, super saloons, saloons and loads more. Big name local, regional and national drivers. Big calendar of mostly Saturday night racing from October through to April. But what isn't big, is the entry cost to this natural amphitheatre where spectators get all-of-track track viewing from in their vehicles or sitting on grassed banks. Central Motor Speedway is a not-for-profit community asset for the whole of Central Otago and as such we take our community responsibilities seriously. Part of this is to create a safe, family entertainment environment and to actively encourage involvement and participation by the region's youth and young adults. We also provide financial donations to community groups/clubs through their helping us on race days. Sponsors are crucial to enabling us to bring you 'Central Otago's Fastest Family Show on Earth'. 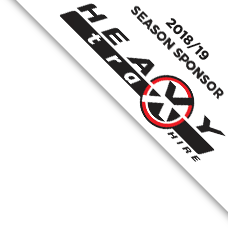 Our sincere appreciation goes to Heavy Trax Hire for agreeing to be main sponsor for a fourth season in a row. We also thank all businesses who have already or are intending to become gate, meeting and track side sponsors for the 2018/19 season. Five Stags Bar & Restaurant at Cromwell’s The Gate Hospitality & Tourist Centre is based on a hunting lodge theme, taking in all the fine elements of New Zealand's rugged countryside in a modern comfortable setting.